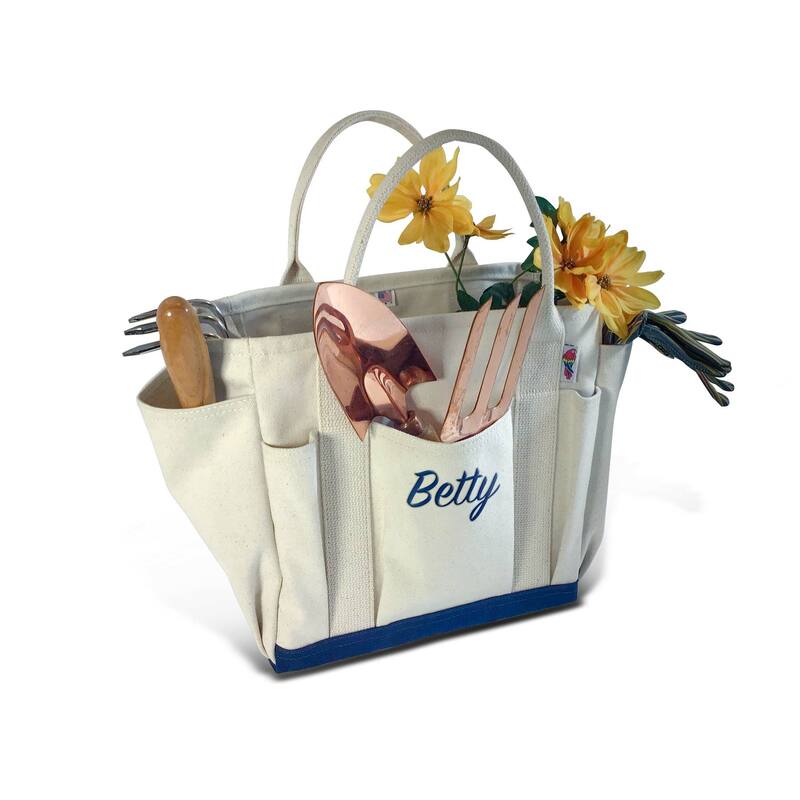 Carry and organize your garden tools and supplies with ease. 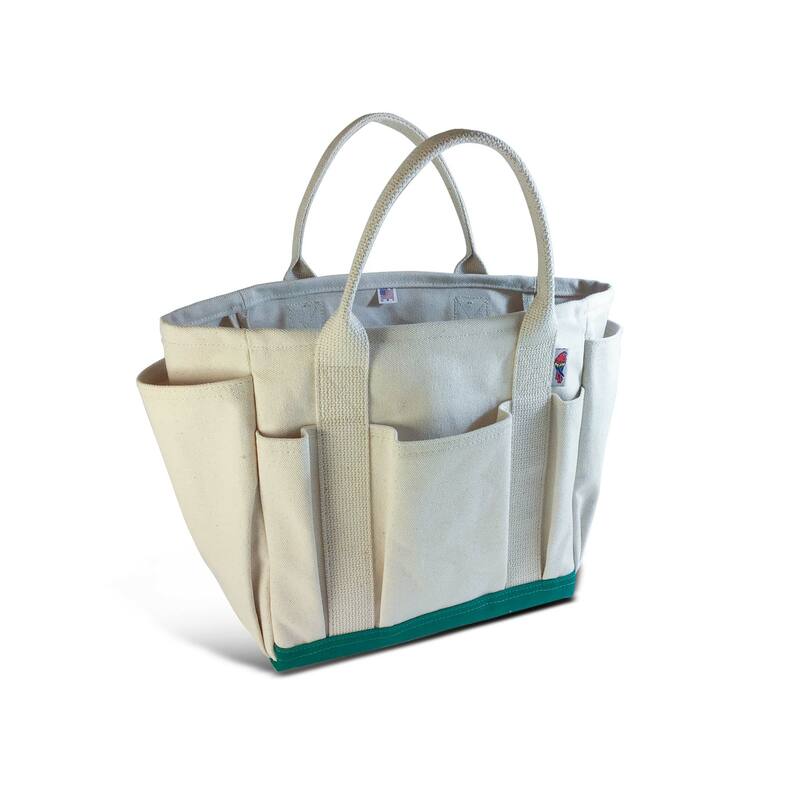 We manufacture our Garden Tote from the same 18oz. cotton duck as or Barrier Island Totes. 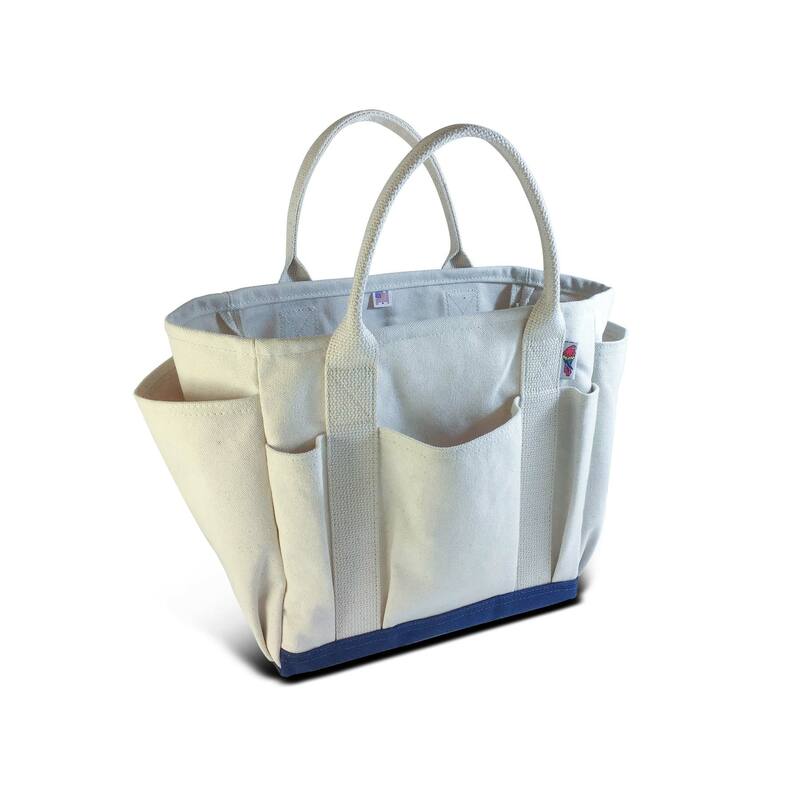 With heavy natural cotton webbing, this tote will last for years. The large main compartment will accommodate various garden supplies while the eight outer pockets allow you to organize your hand tools and other accessories. Monogram it for the perfect gift that the avid gardener on your list will enjoy for years.